I Heart DexterOfficial Dexter from Showtime Fan Merchandise! 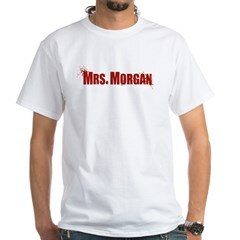 Show your love for the hit tv show Dexter with this clever design showing a knife through a heart. 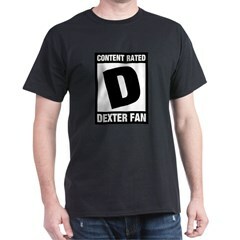 This fun design for fans of Showtime's popular Dexter series is inspired by video game ratings. Warn those around you that you're a big Dexter fan. Rated D for Dexter fan! This official fan Dexter design feature a collage of quotes from the hit Showtime series. Dark humor and familiar quotes mix together in this great Dexter design on t-shirts, apparel and gifts. Do I see sheets of plastic in your future? While Dexter considers his next victim, letters in dripping blood leave no confusion to the meaning in this original official fan-created Dexter design. Peace Love Dexter t-shirts, apparel and gifts. This official fan-created design features icons for each sentiment. A splatter of blood represents Dexter, naturally!